The wait is over… the official trailer has arrived for Men In Black: International. The first instalment in the franchise since 2012’s Men In Black 3, the new film stars Chris Hemsworth, Tessa Thompson, Rebecca Ferguson, Kumail Nanjiani, Rafe Spall, Laurent Bourgeois, Larry Bourgeois with Emma Thompson and Liam Neeson. Men In Black: International is directed by F. Gary Gray and executive produced by Steven Spielberg, E. Bennett Walsh and Barry Sonnenfeld. This will be the first Men In Black film not to feature original stars Will Smith and Tommy Lee Jones. Whether or not they appear as cameos remains to be seen. 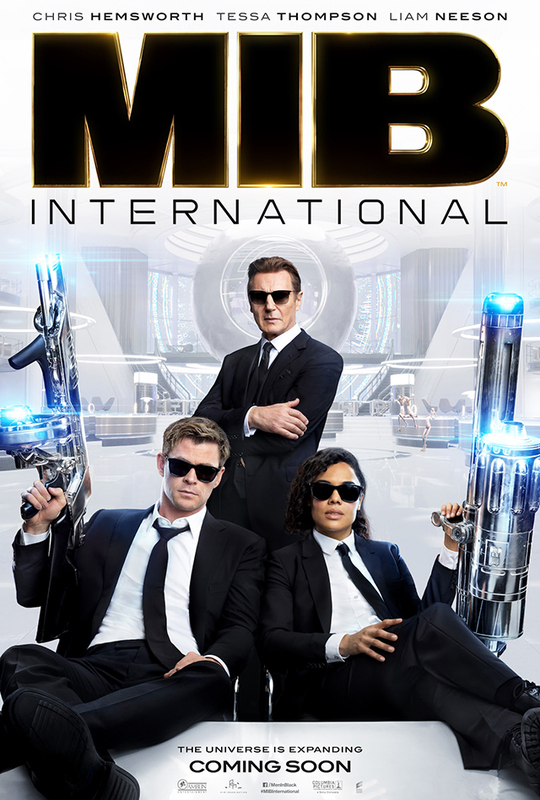 Men In Black: International will open at cinemas across the UK and Ireland June 14, 2019.